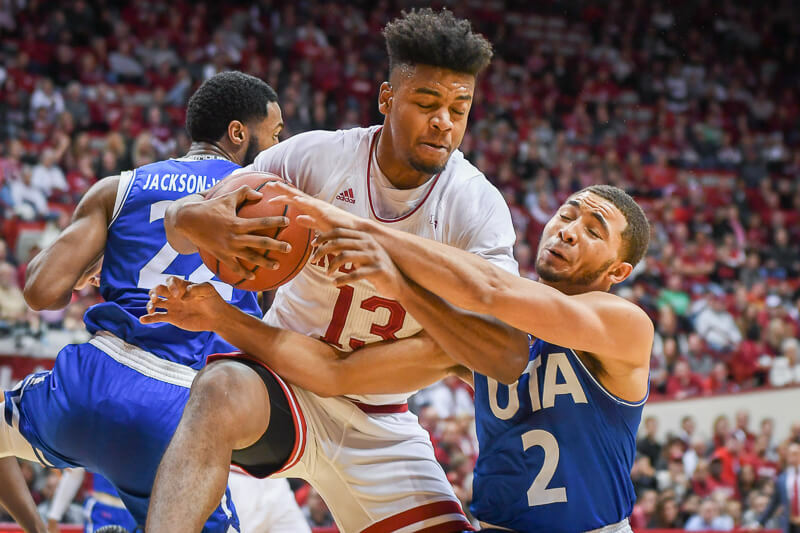 How it happened: Early on, it looked like Indiana would cruise to its fourth victory of the season against an overmatched team from the Sun Belt. But after the Hoosiers opened a 20-point lead early in the second half, this one was anything but easy for Indiana. UT Arlington started splashing 3s and Indiana’s offense grew stagnant. And as the Mavericks gained confidence, Assembly Hall grew quiet. UT Arlington never took the lead, just getting to within one at 61-60 with 6:33 to play. But Indiana answered the bell, despite being shorthanded. The Hoosiers finished the game on a 17-4 run for their fourth victory of the season. Standout performer: Juwan Morgan finished with 23 points, 10 rebounds, four assists, three blocked shots and two steals in 36 minutes. Statistics that stands out: Indiana allowed UT Arlington to shoot 7-of-17 on 3s in the second half and score 42 points after intermission. The Hoosiers also turned it over 18 times for a turnover percentage of 25, which was their highest of the season.